Jaguar hopes customers who have seen the Mercedes ad will also view its take on chickens. It started with Mercedes-Benz posting a YouTube commercial touting its Magic Body Control System on the redesigned S-class. There’s a close-up of a chicken’s head with “Upside Down,” by Diana Ross playing. 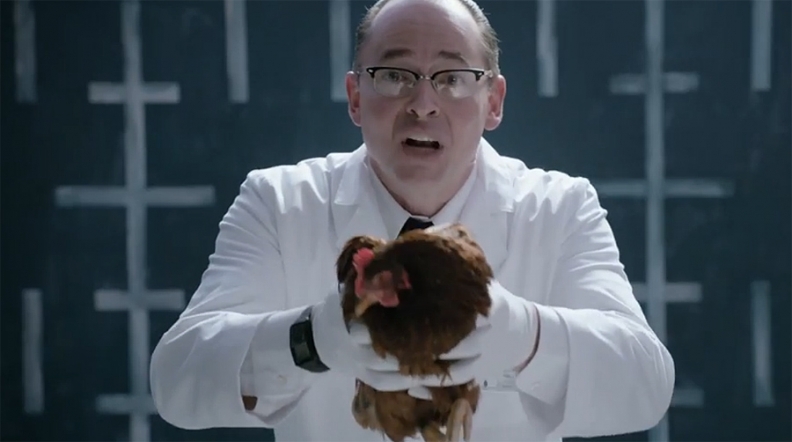 White-gloved hands turn the chicken, and then multiple chickens, this way and that way, but their heads always stay up. It’s funny coming from Mercedes-Benz, which is usually more serious in featuring cars that stop, avoid accidents and illustrate performance or safety. Jaguar hopes customers who have seen the Mercedes ad will also view its take on chickens and what is essential in a luxury car. It’s worth a cackle.